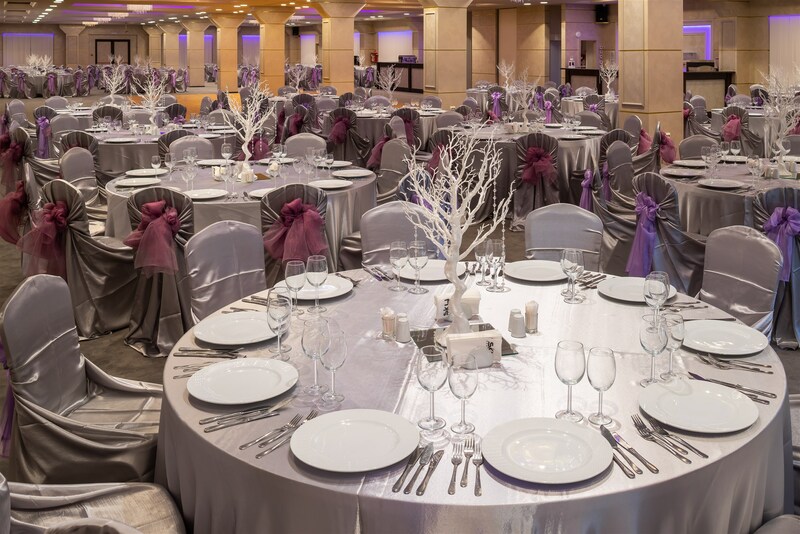 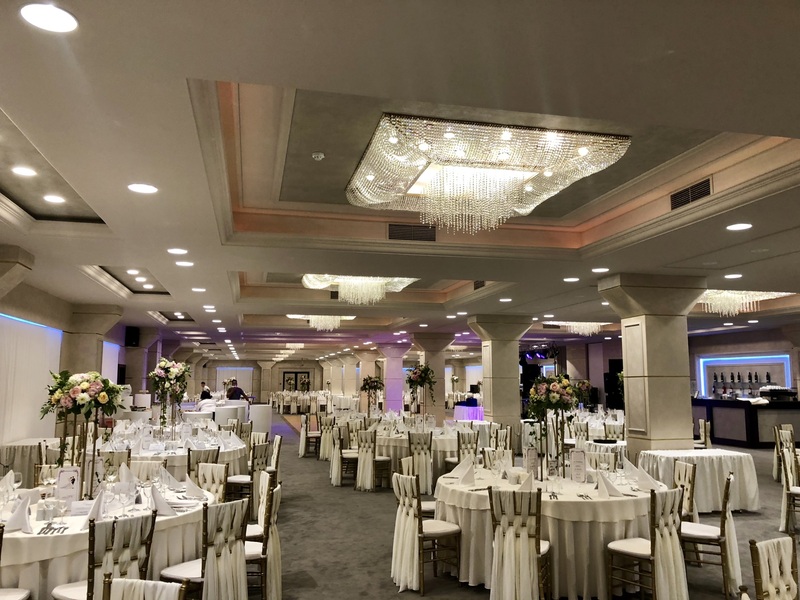 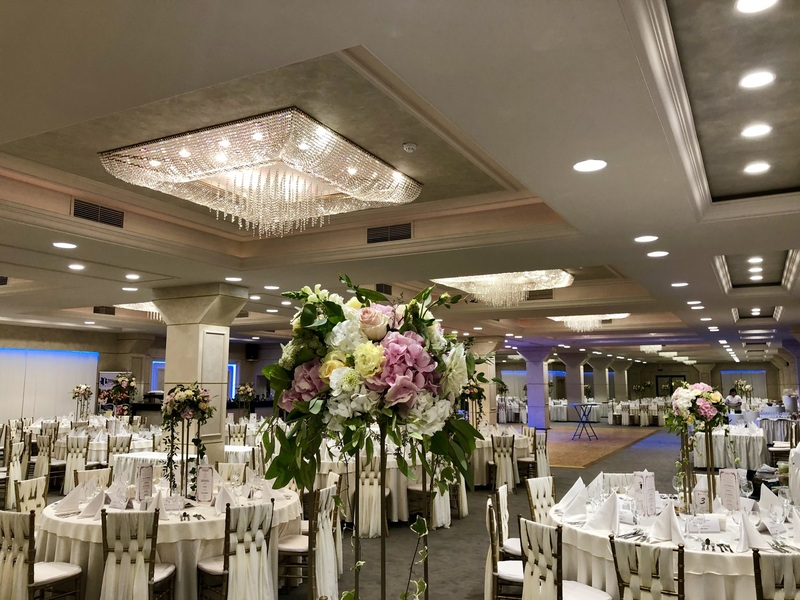 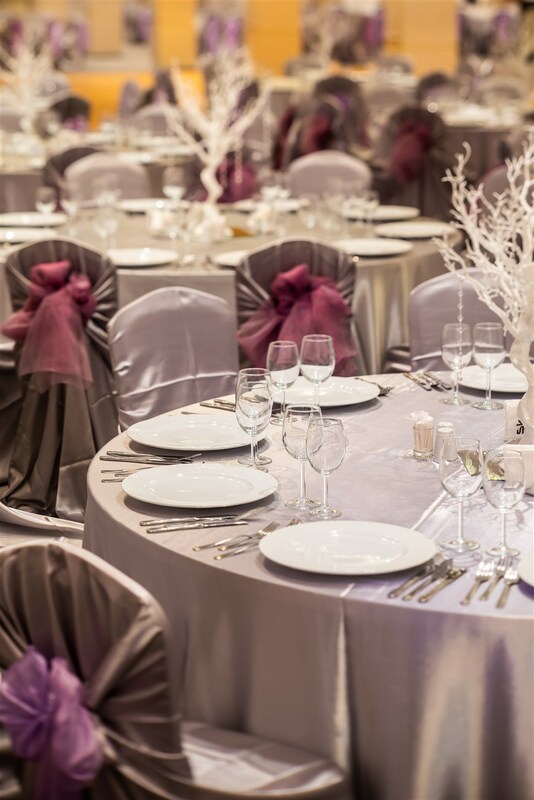 A special architecture, an exceptional design, high standards finishings and a professional team, Grand Ballroom is a location conceived for organizing truly memorable events. 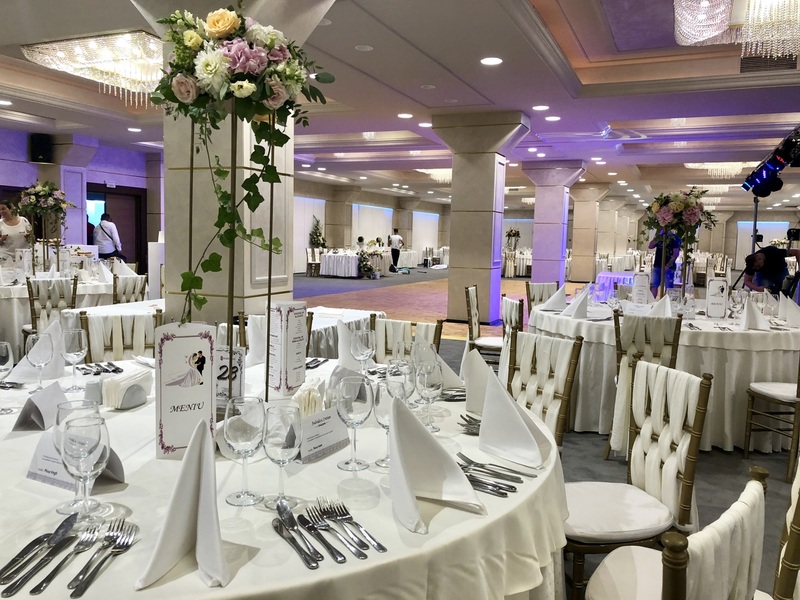 Elegant corporate meetings, student balls, private events, exhibitions, conferences, trainings, corporate events, team-buildings and many other elegant background events. 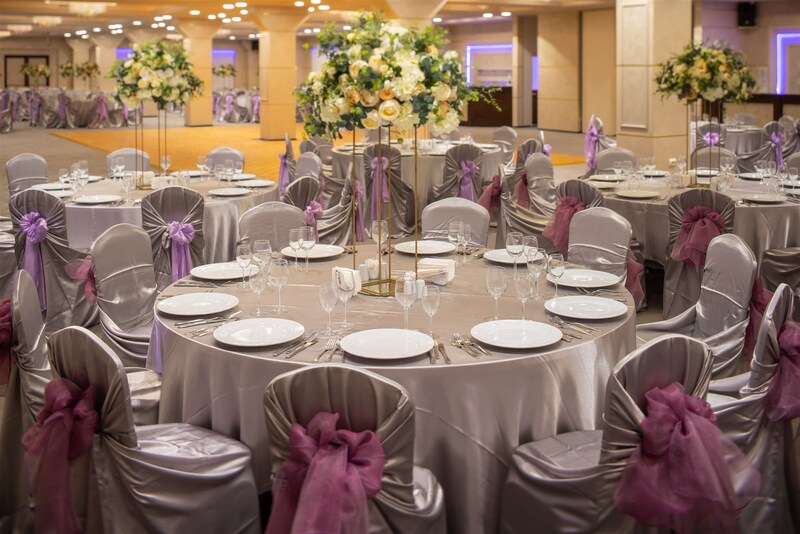 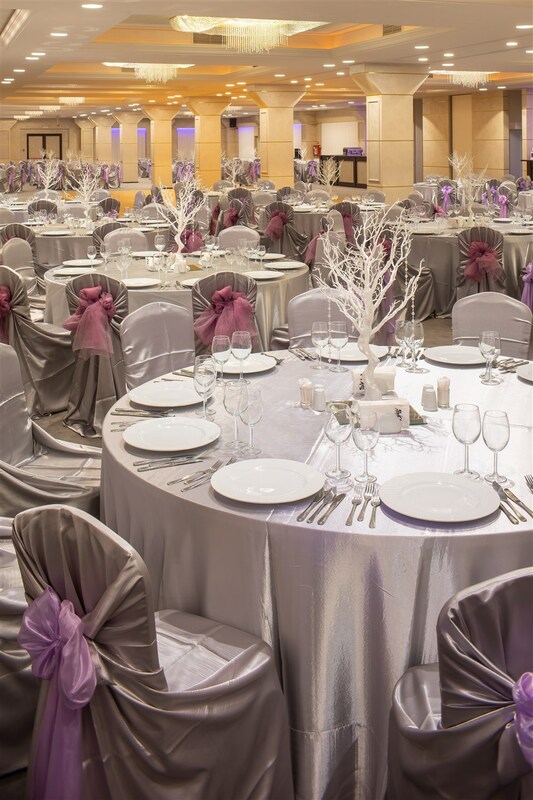 Grand Ballroom is a location for events that gives a whole new dimension to luxury and quality services. 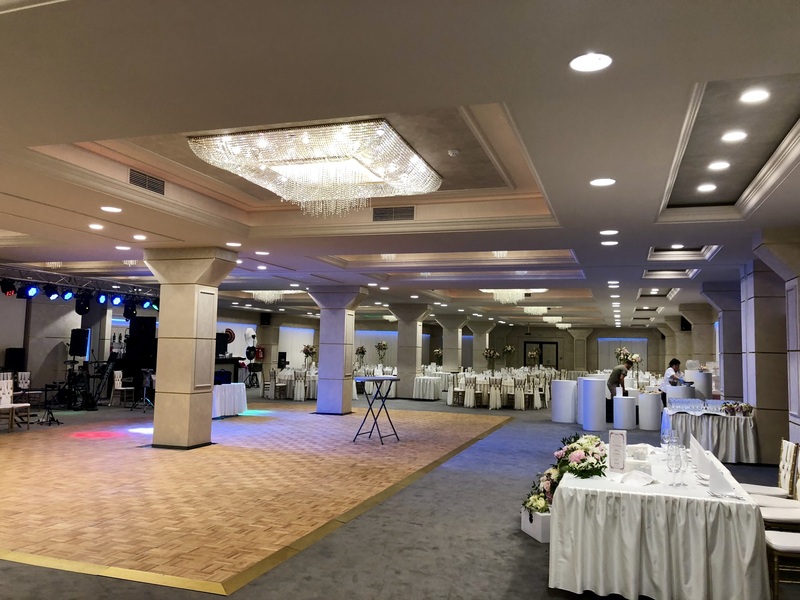 Fixed or custom menus, dance ring and a stage, an arcade and small pillars. 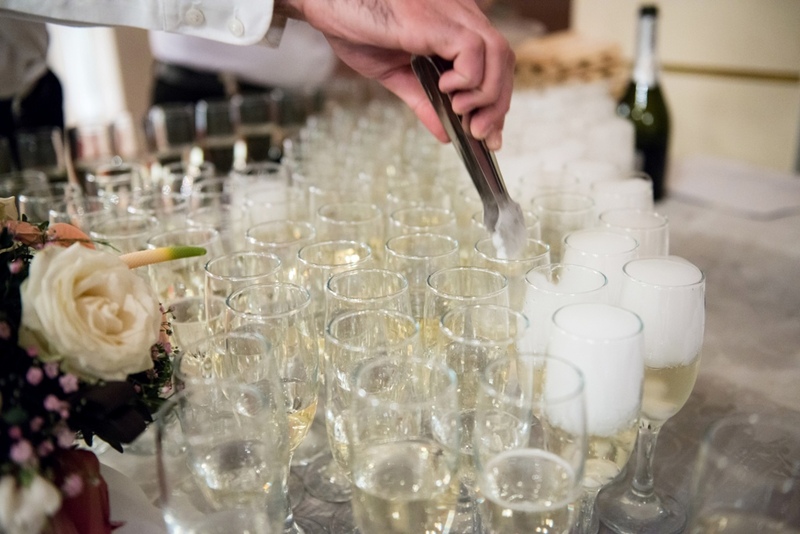 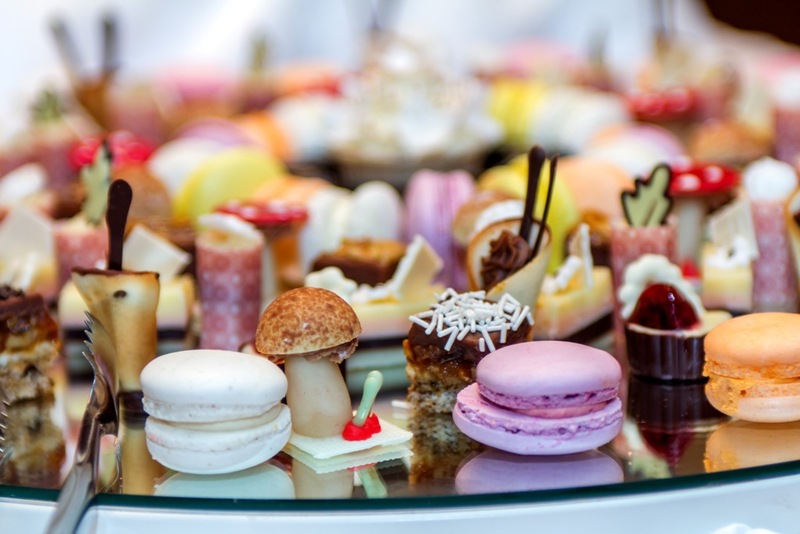 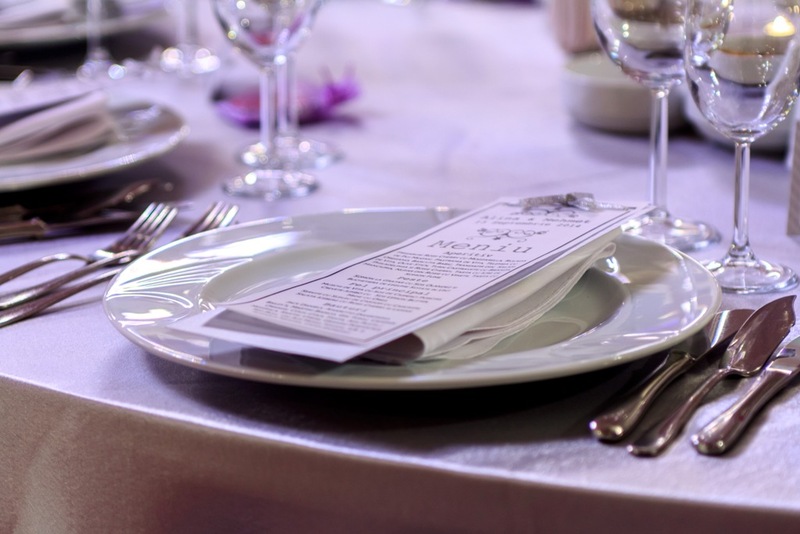 An events manager coordonator is fully dedicated to assist the event, restaurant serving personnel. 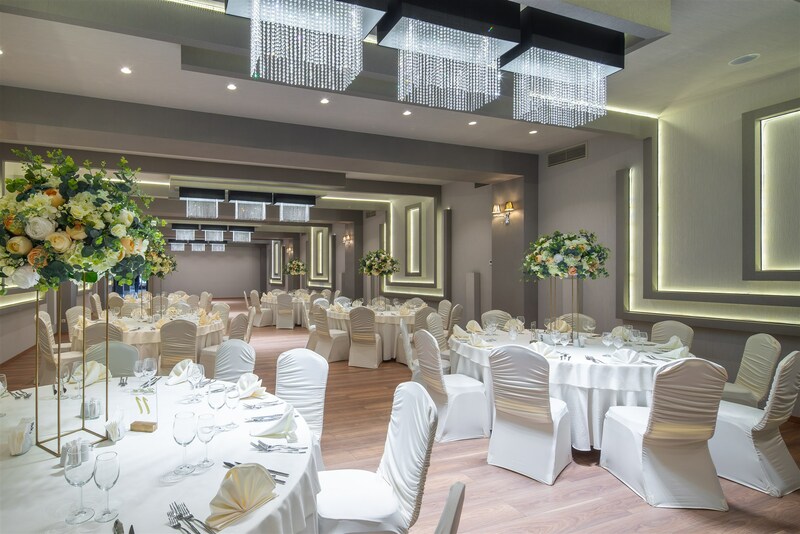 Whether it’s a corporate event or a private event, Sky 3 and Sky 4 have all the resources to do it. 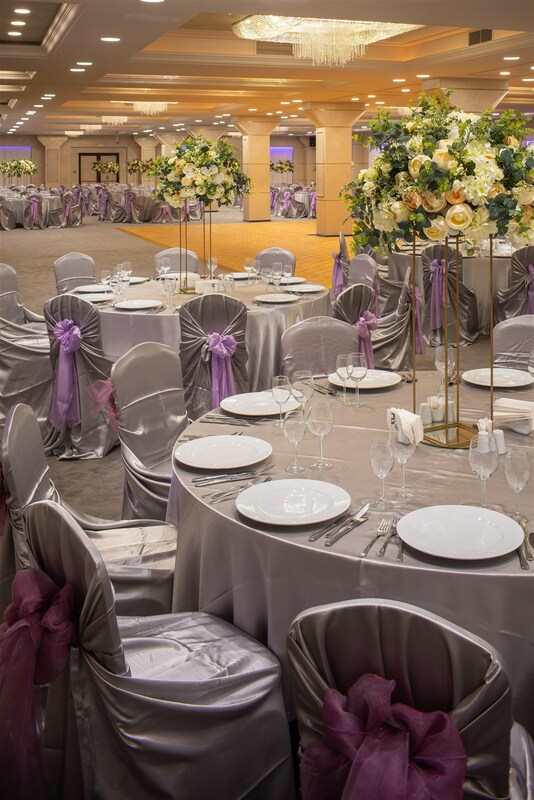 With a maximum capacity of 100 people each, the ballrooms are located on Sky Center’s first floor, next to K&D London. 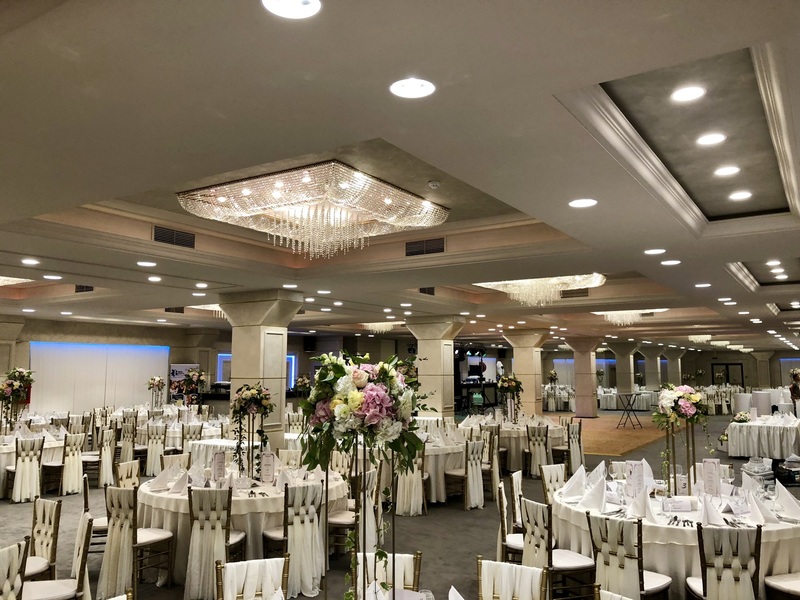 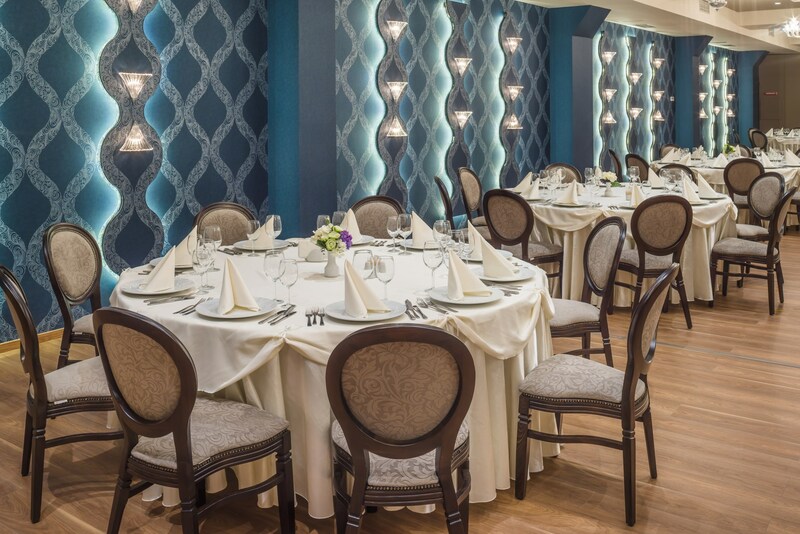 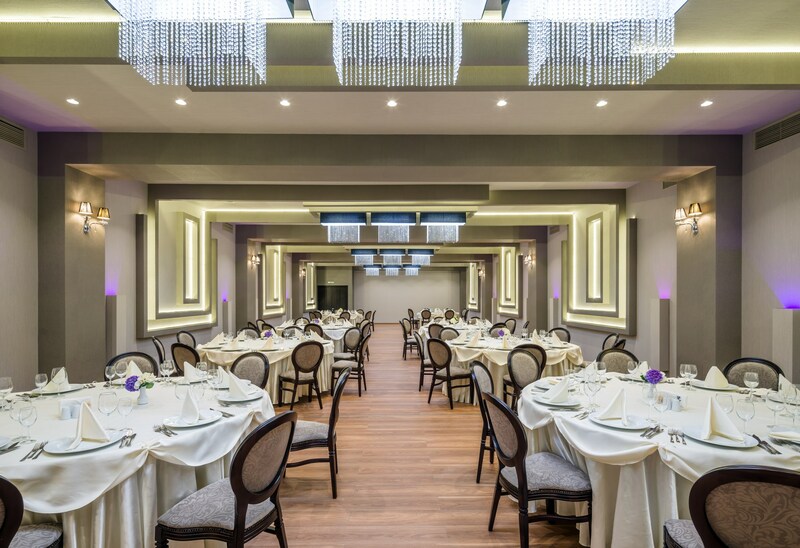 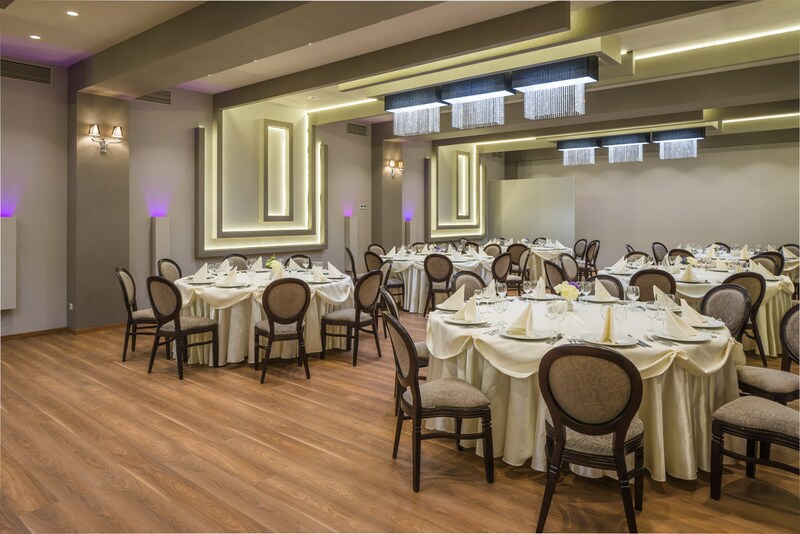 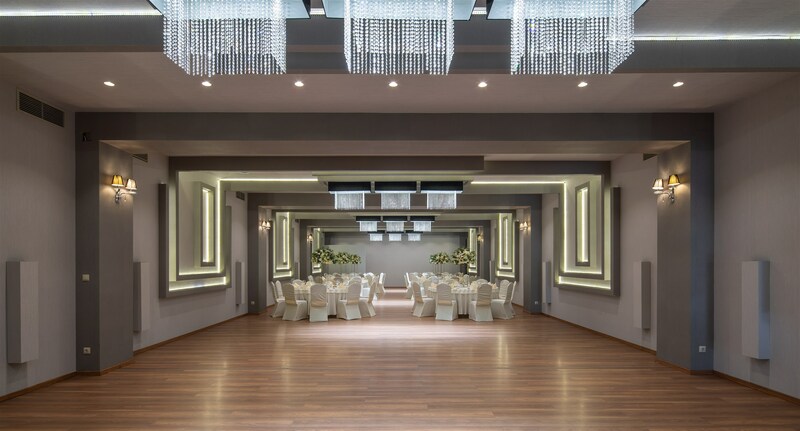 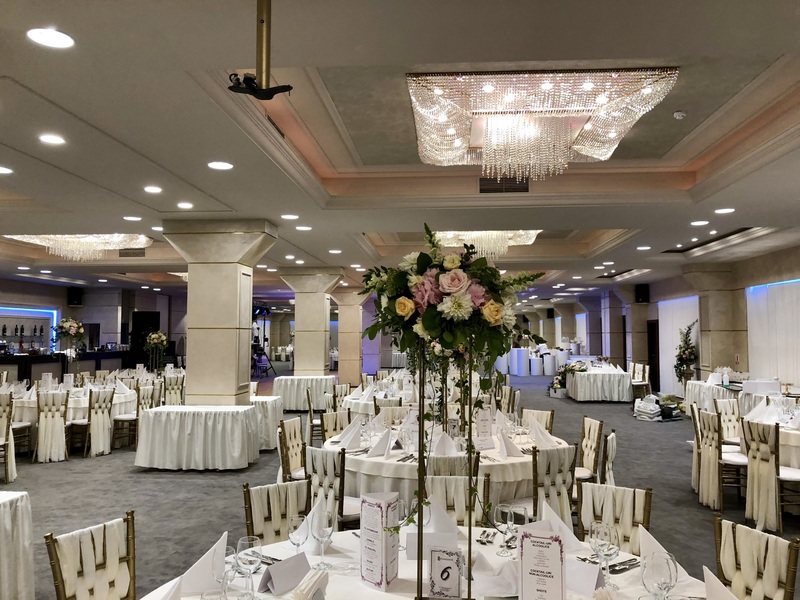 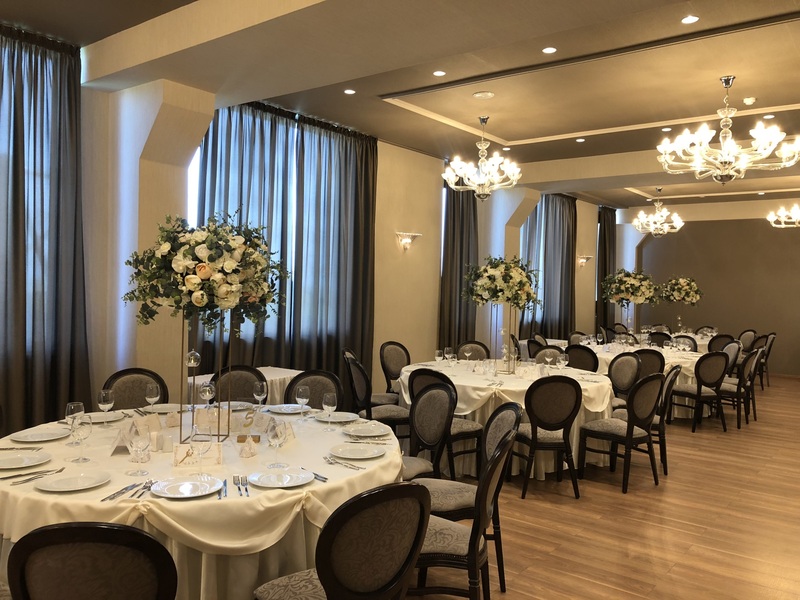 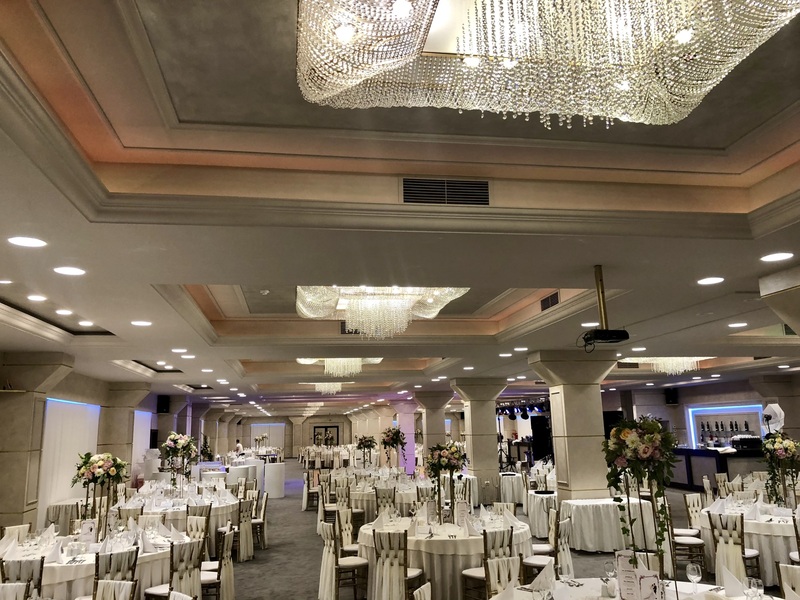 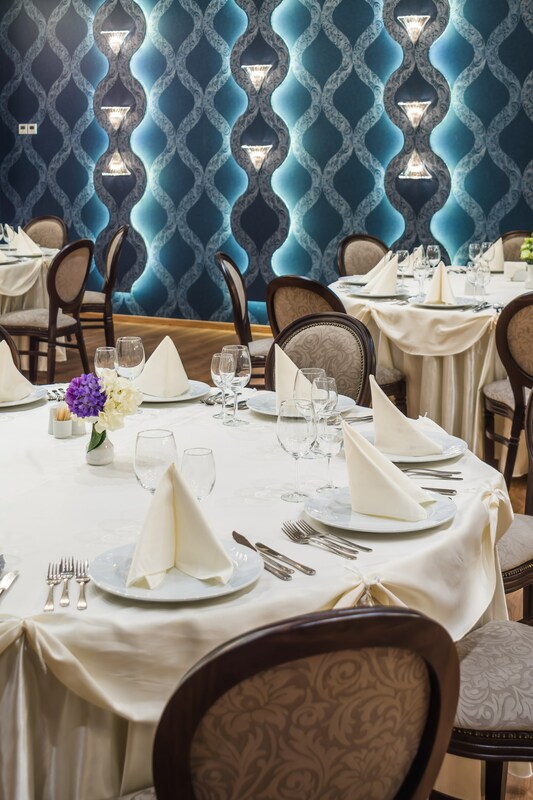 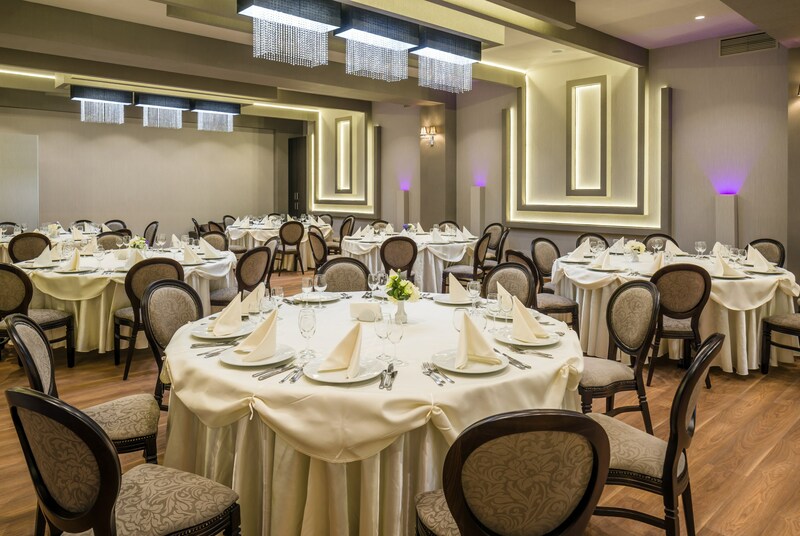 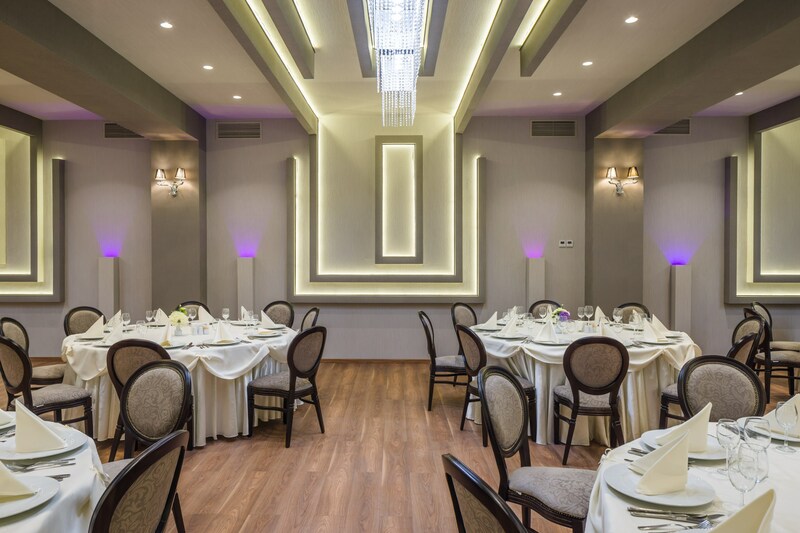 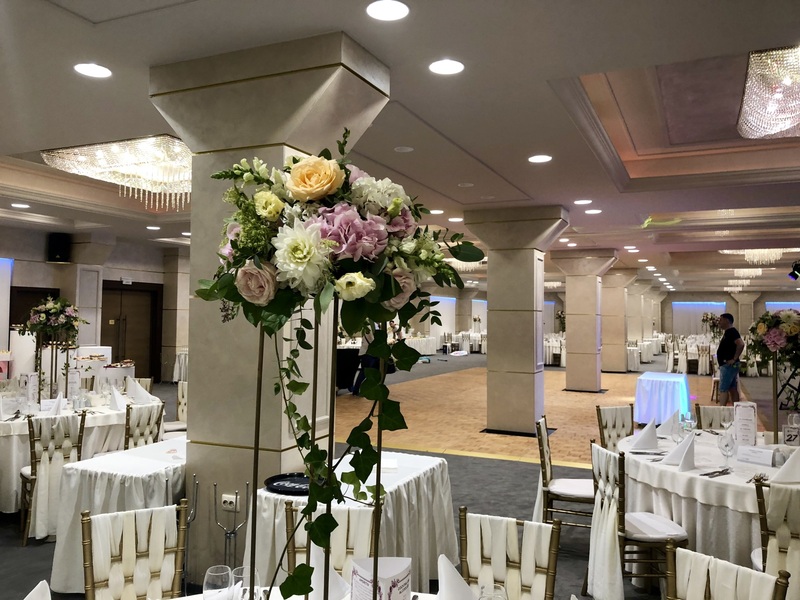 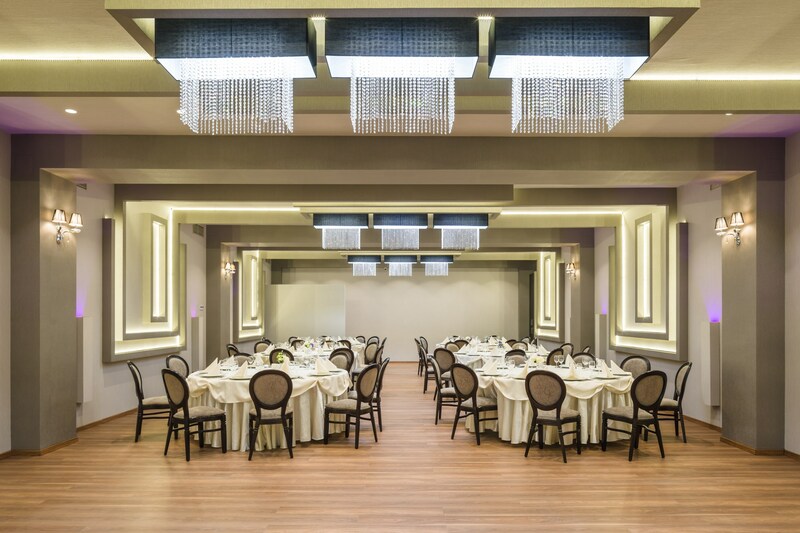 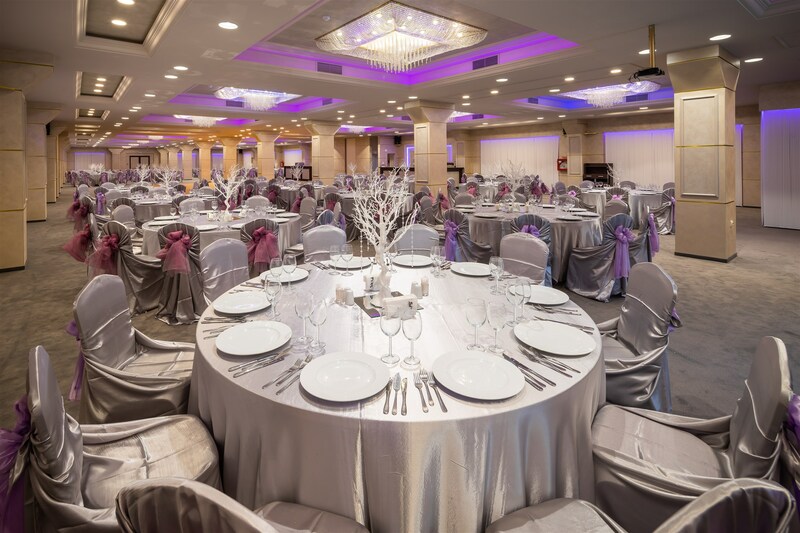 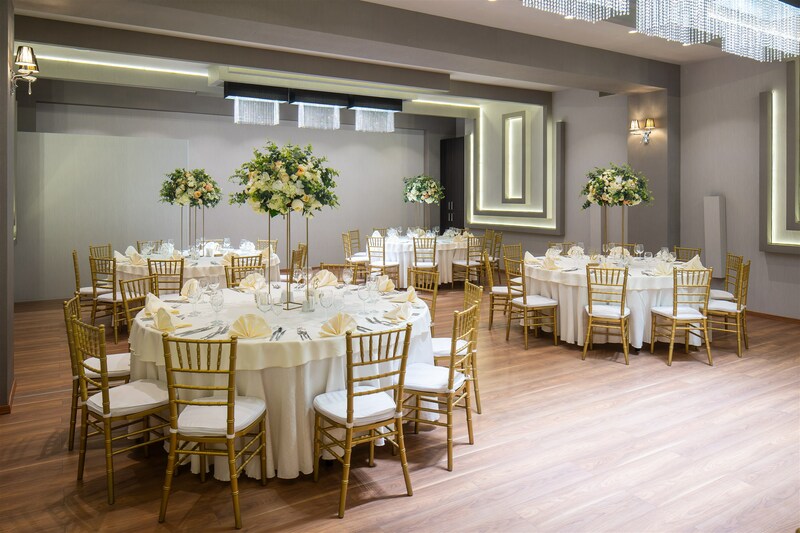 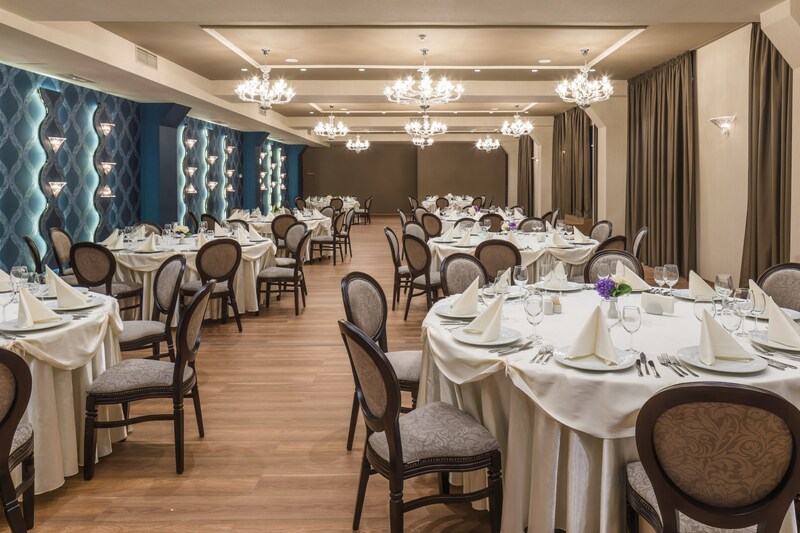 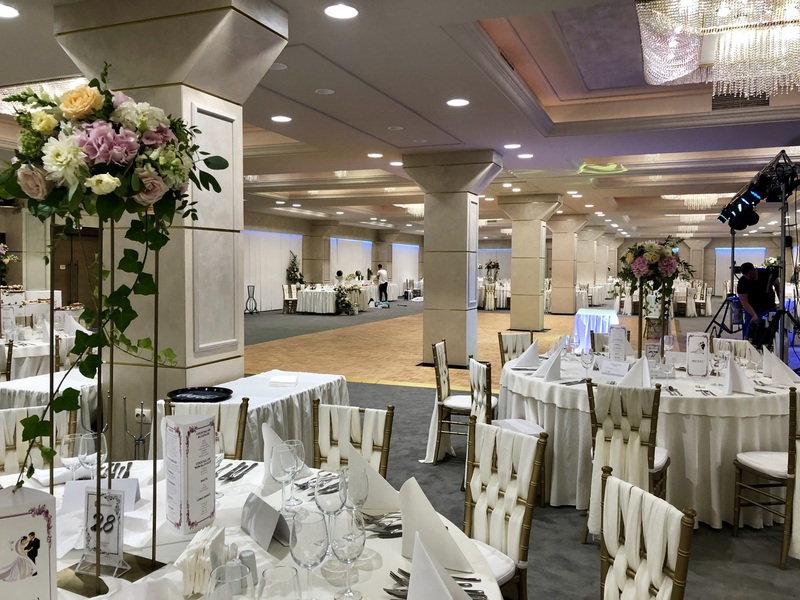 You will be amazed by the exceptional design and elegance of the ballrooms, but also by the bright and relaxing atmosphere created by ambient and natural light. 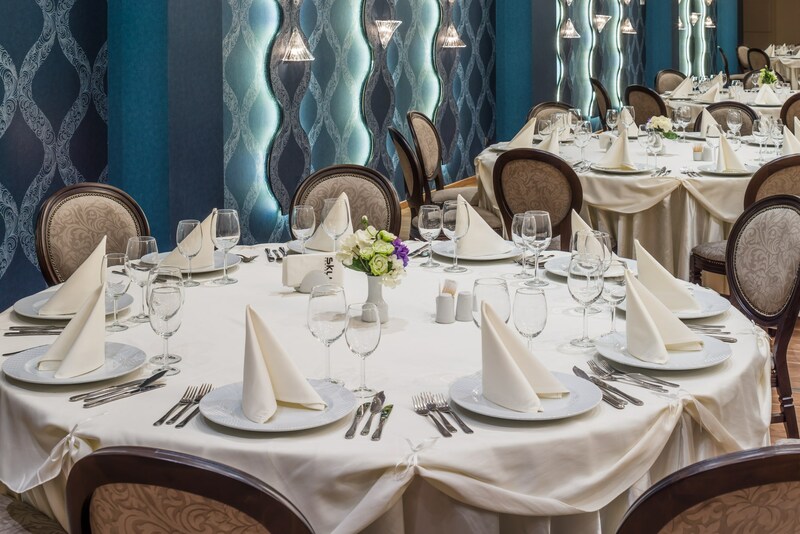 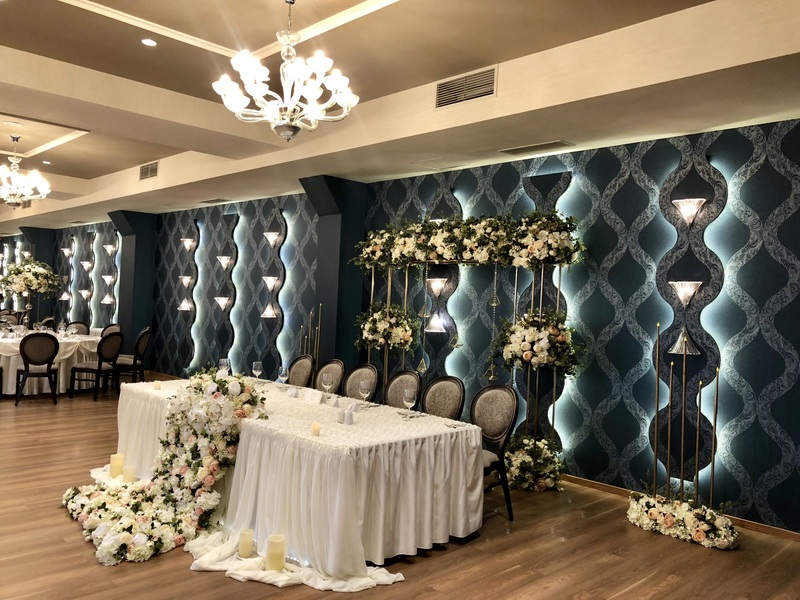 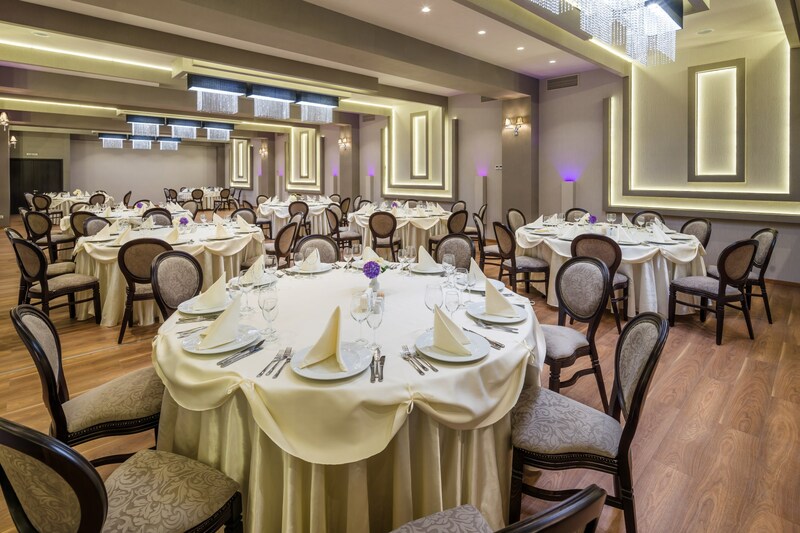 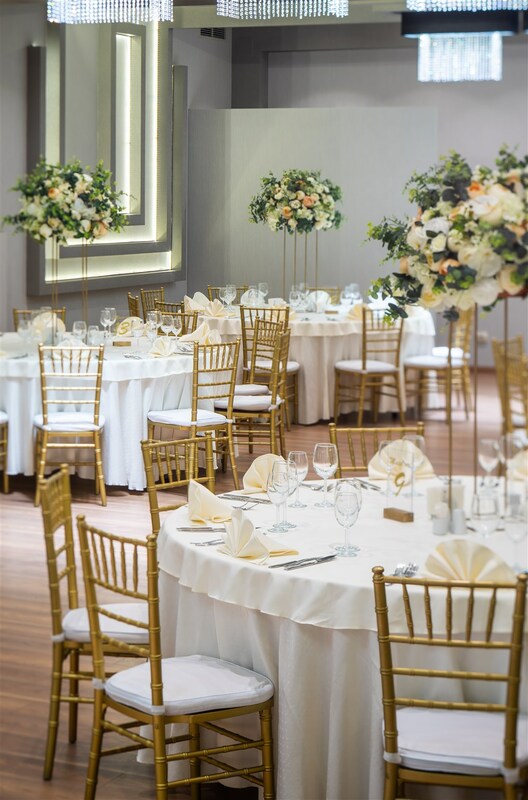 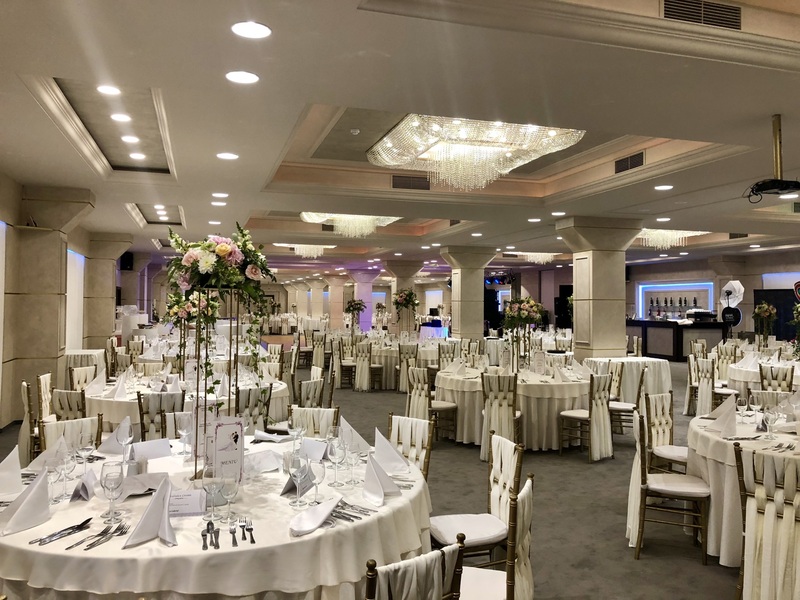 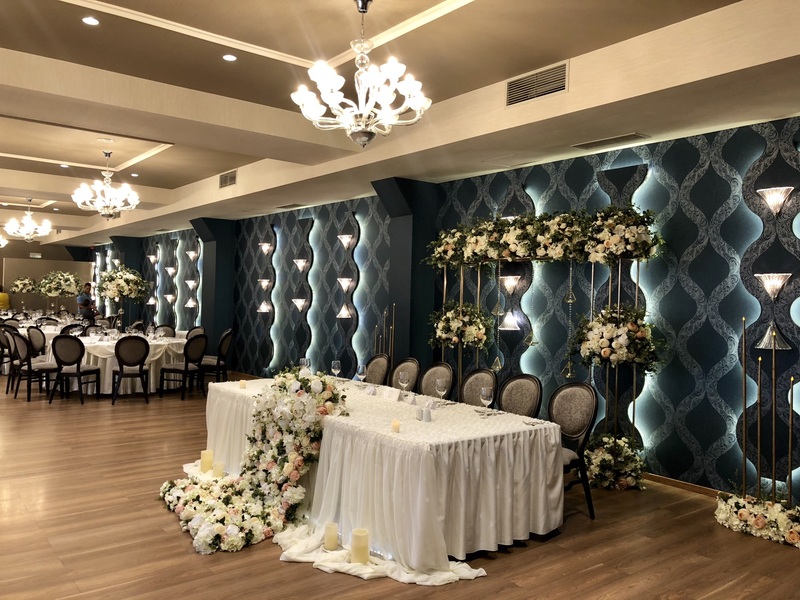 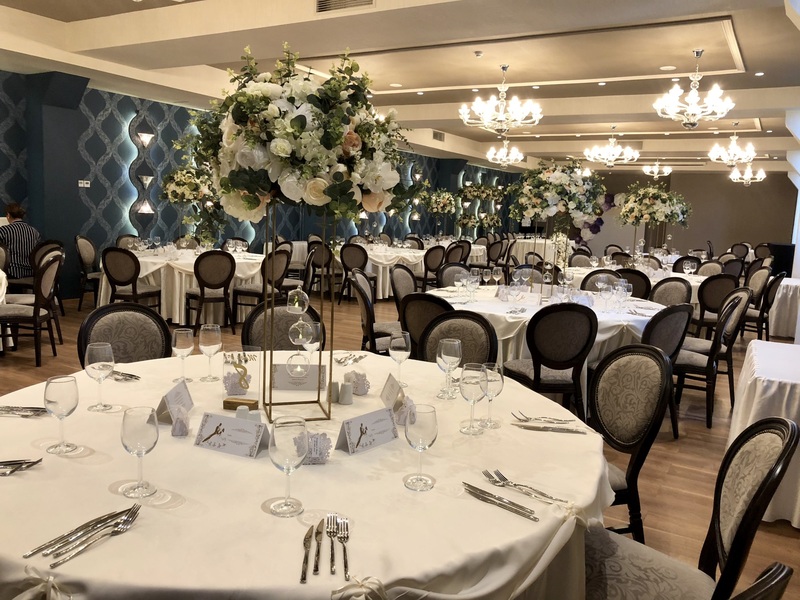 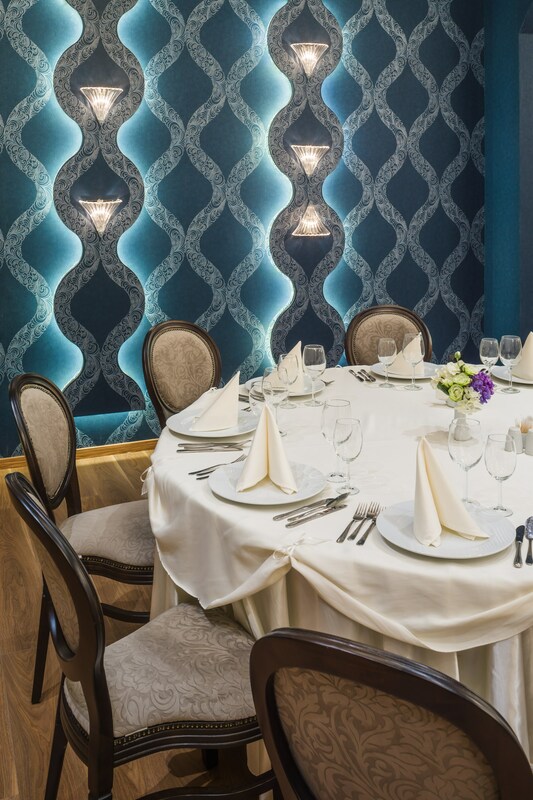 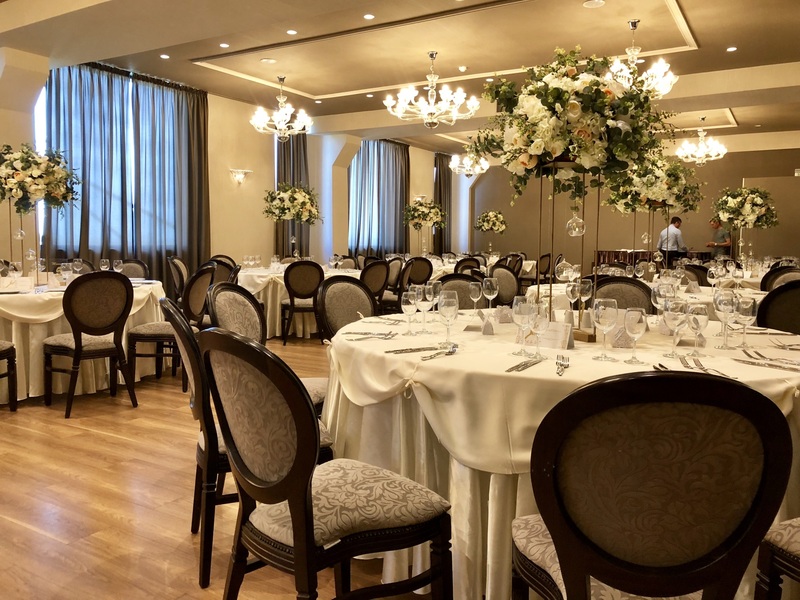 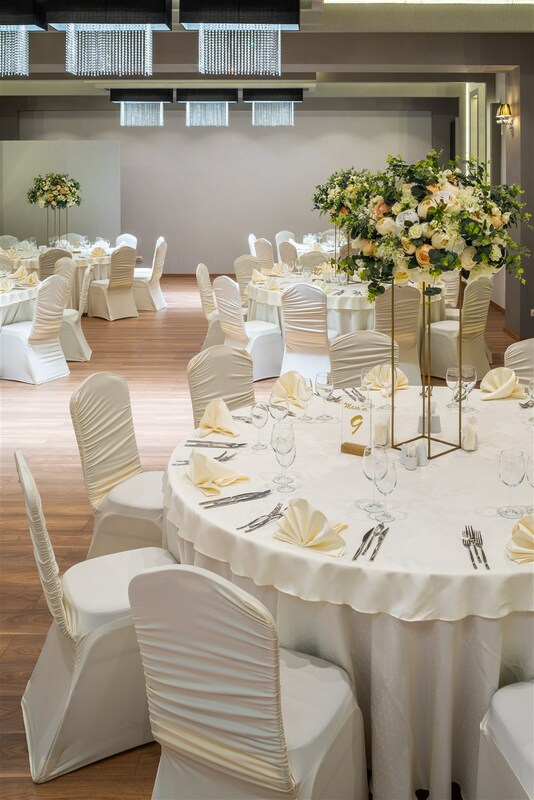 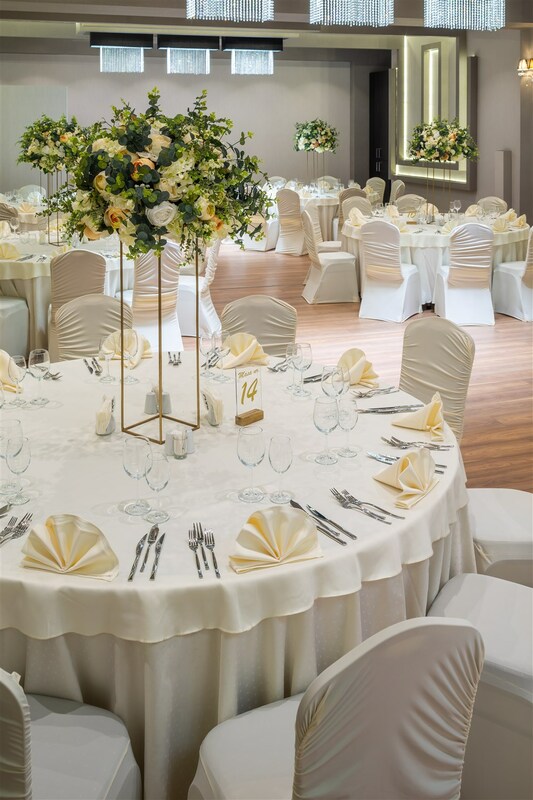 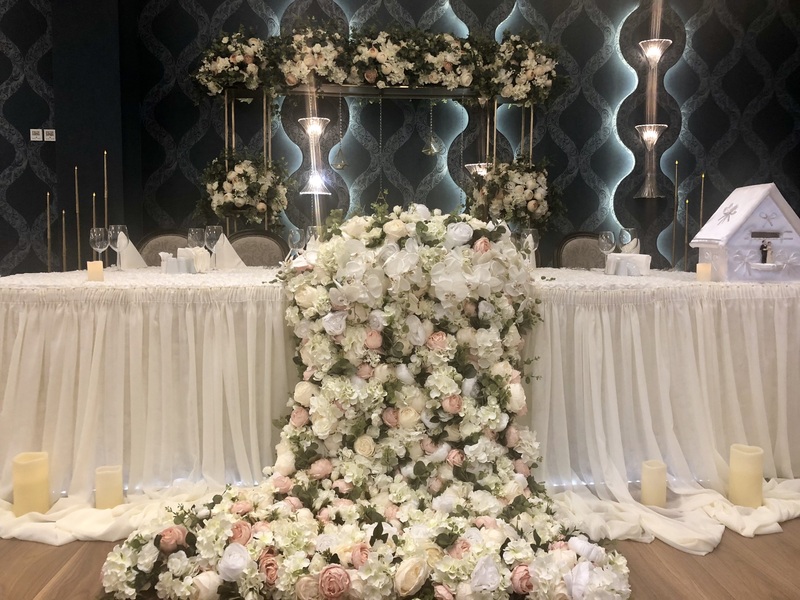 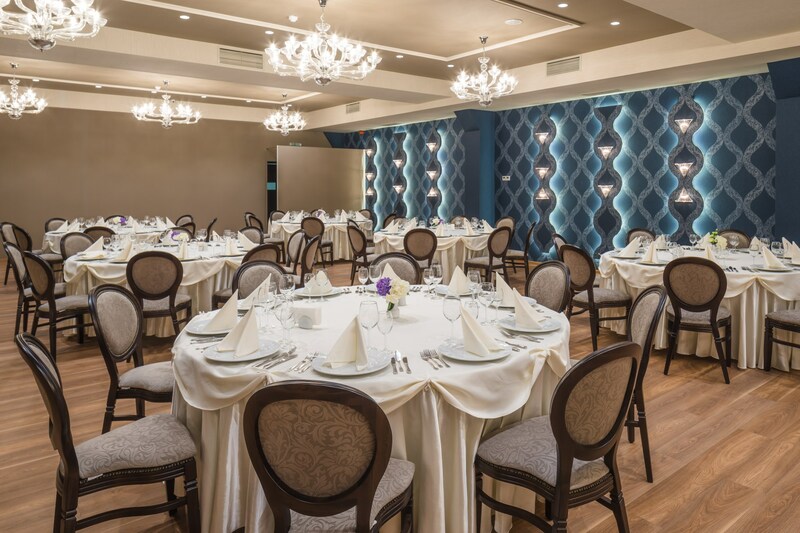 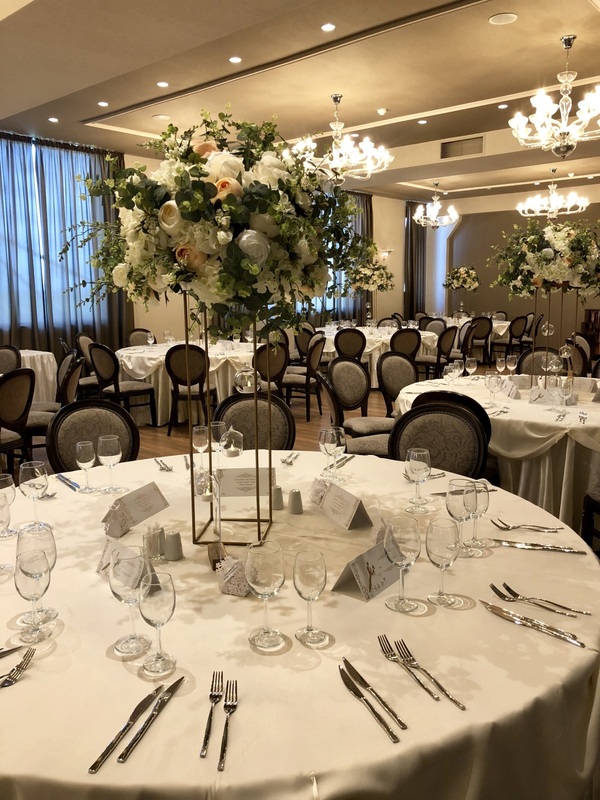 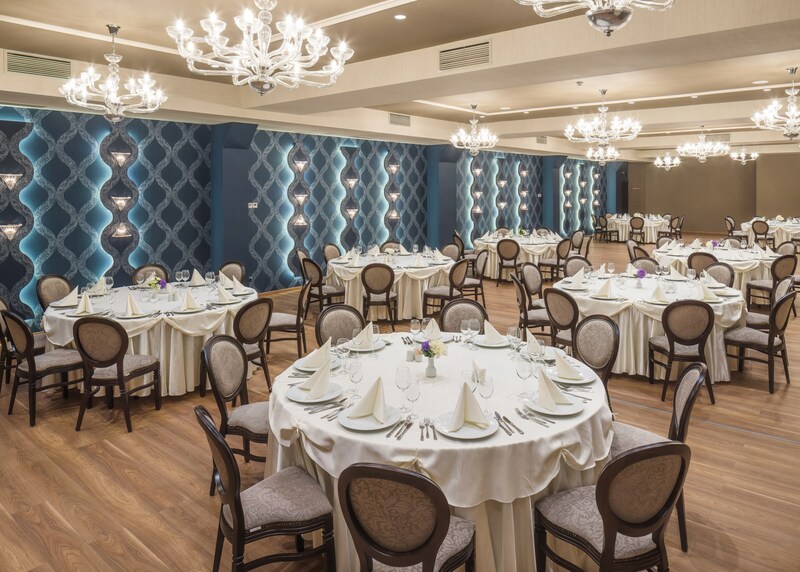 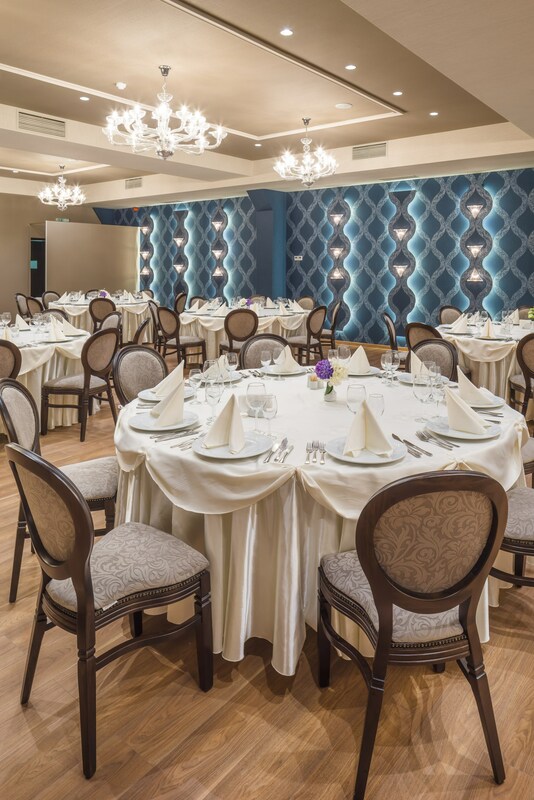 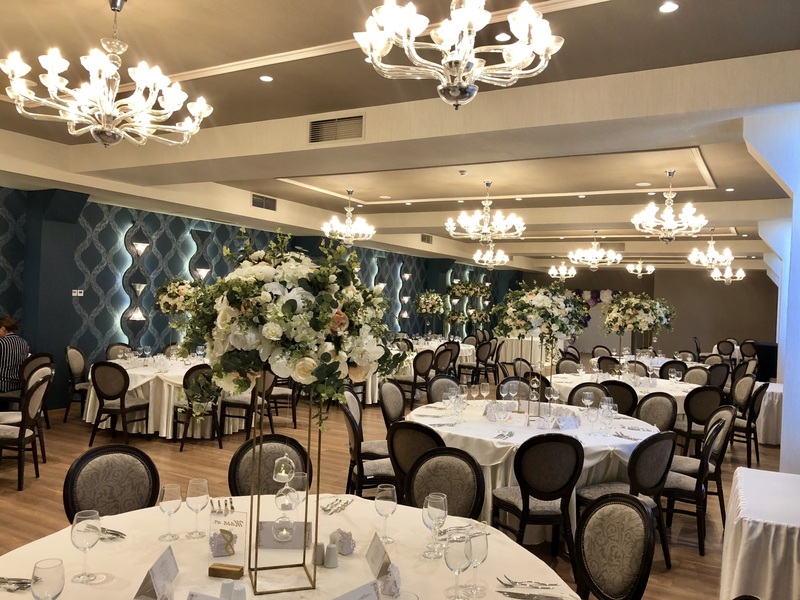 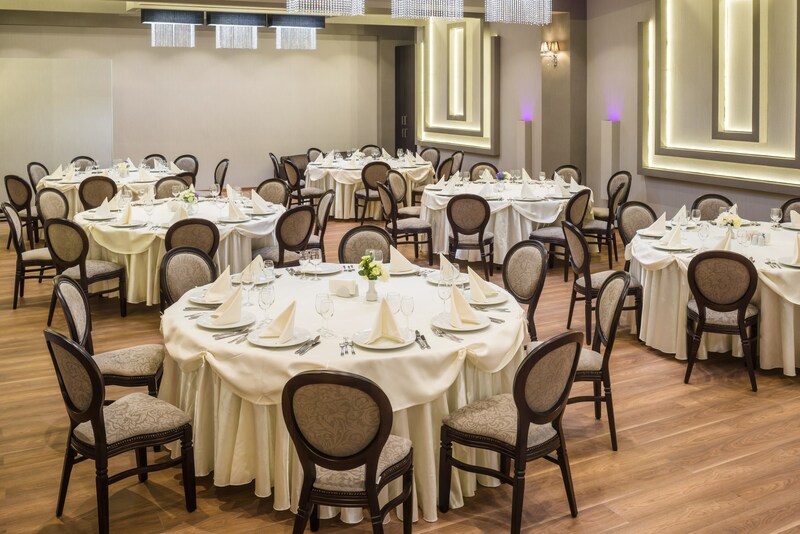 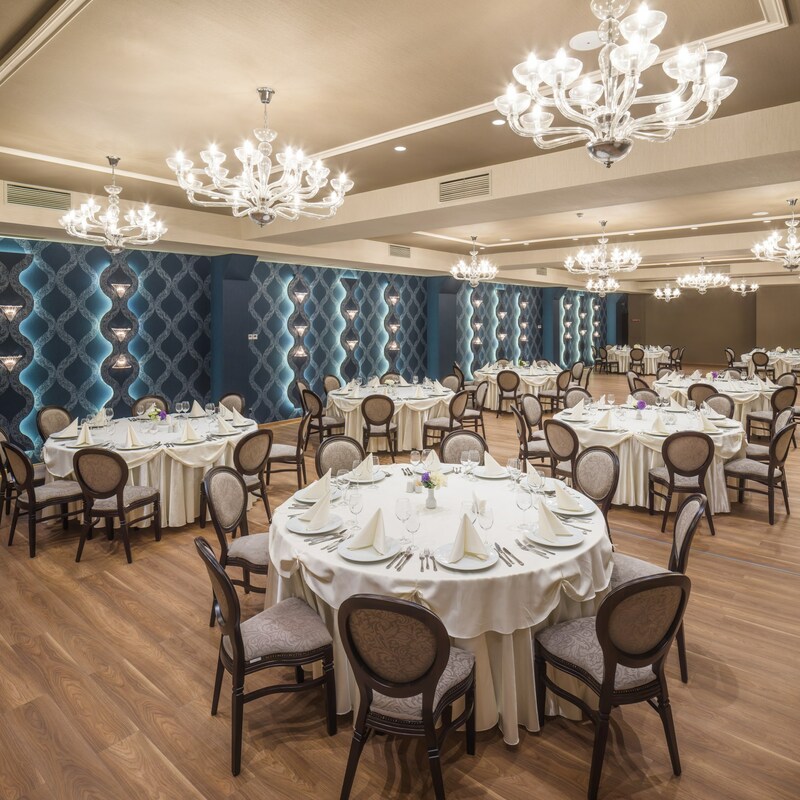 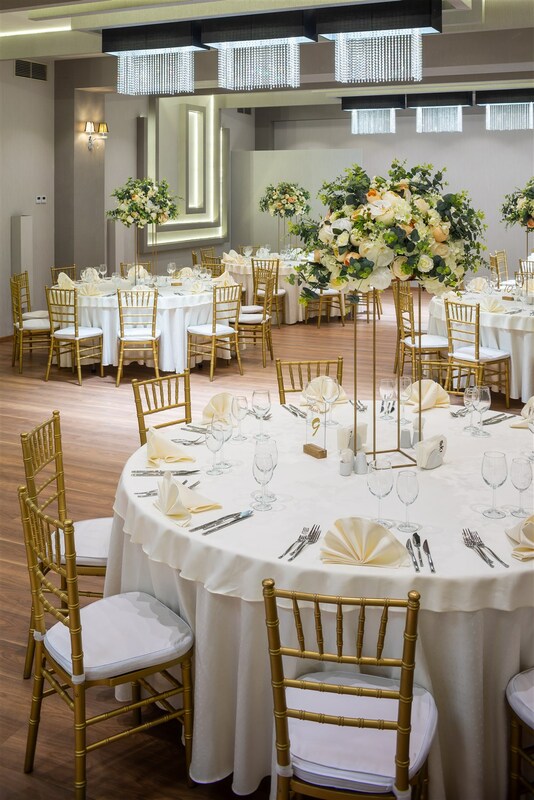 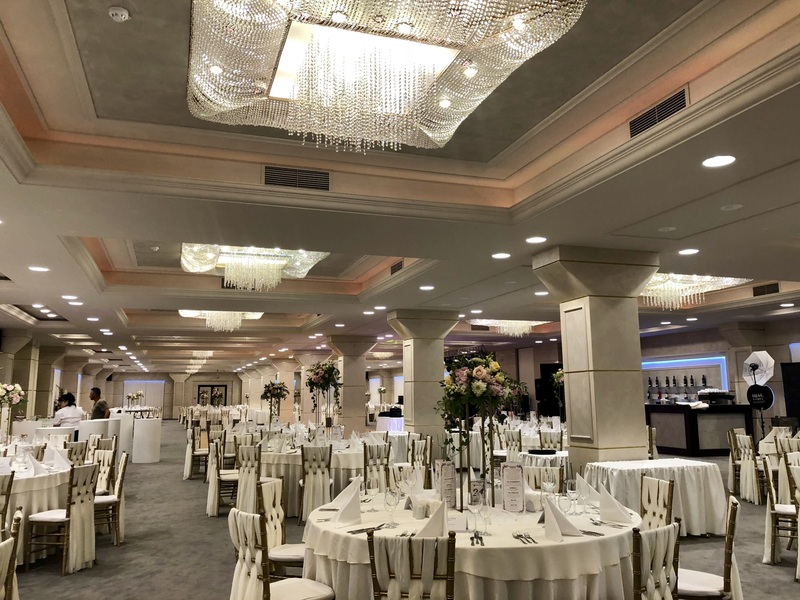 The ballrooms have round tables and chairs created with a special design that do not require any other decoration, wardrobe and spacious bathrooms, illuminated with chandeliers. 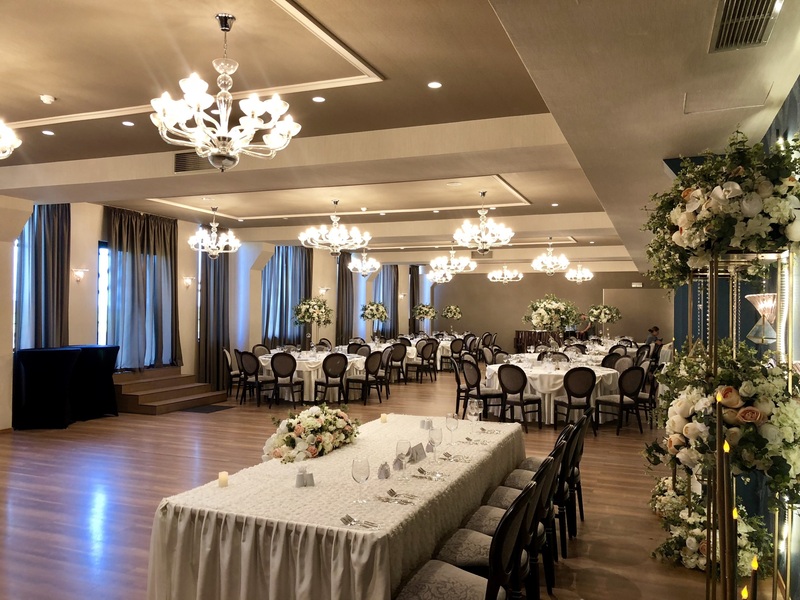 One of the ballrooms will be preferred to many because it has access to a suspended outdoor terrace. 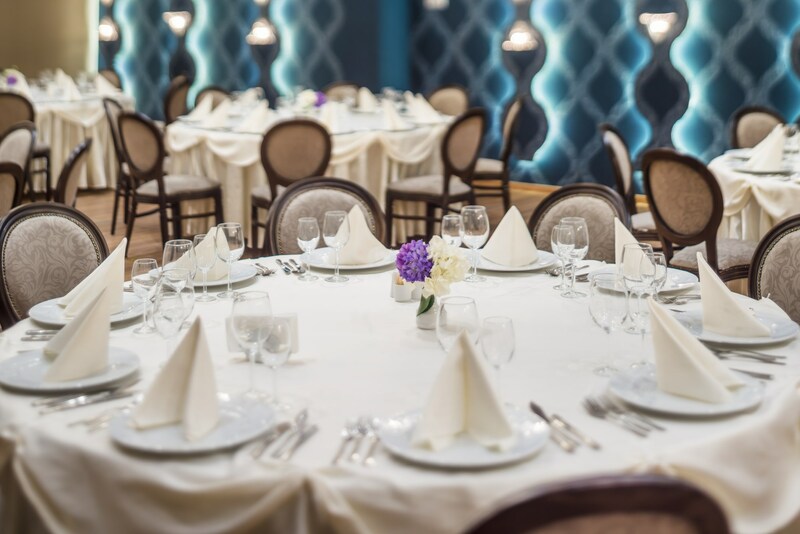 Regardless of the size or type of event you want to organize, Sky restaurants offer you the perfect solution, with many cozy, intimate spaces, in a fabulous location. 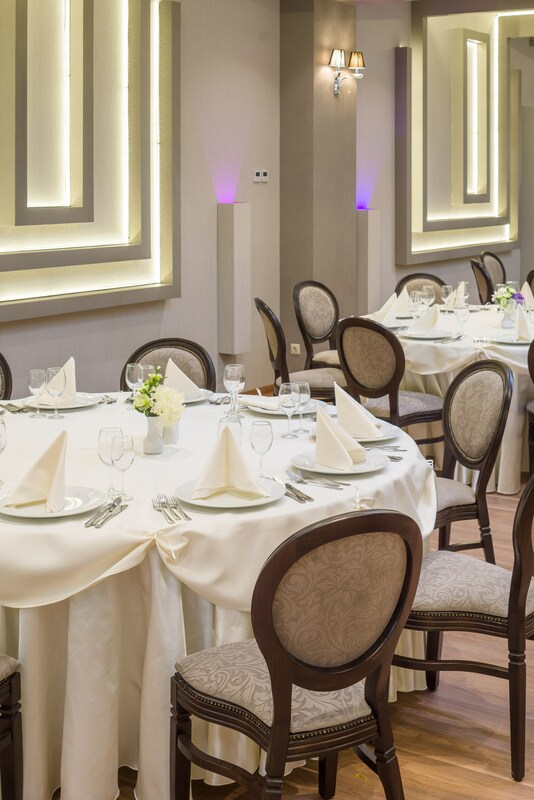 The Sky menus are made up of excellent dishes, carefully selected by the greatest chefs, the incontestable masters in culinary art. 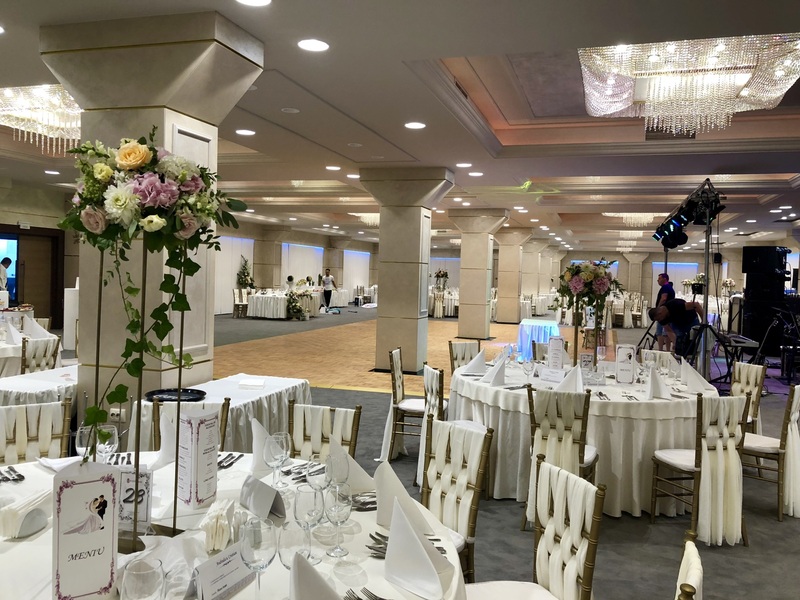 Choose one of the Grand Ballroom and you will have a successful event due to the professionalism, seriousness and flexibility offered by our team. 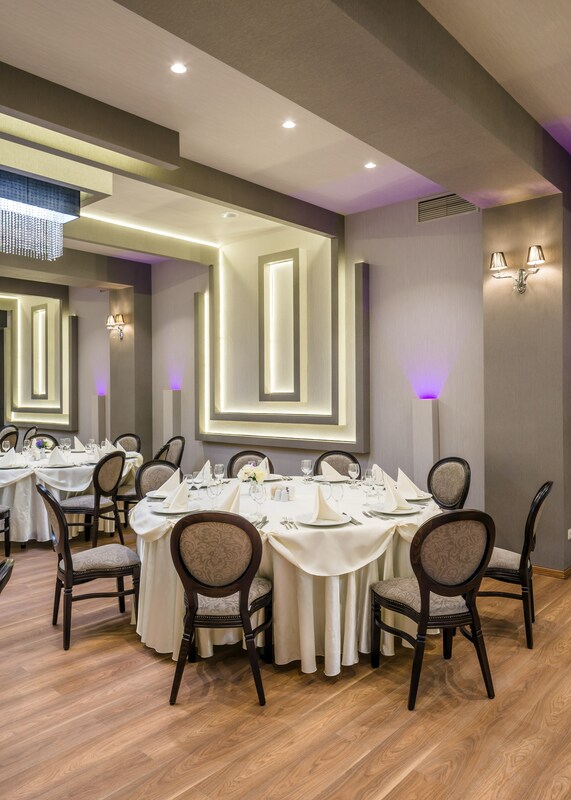 Elegance, professionalism, pleasant atmosphere, you may chose the desired menu. 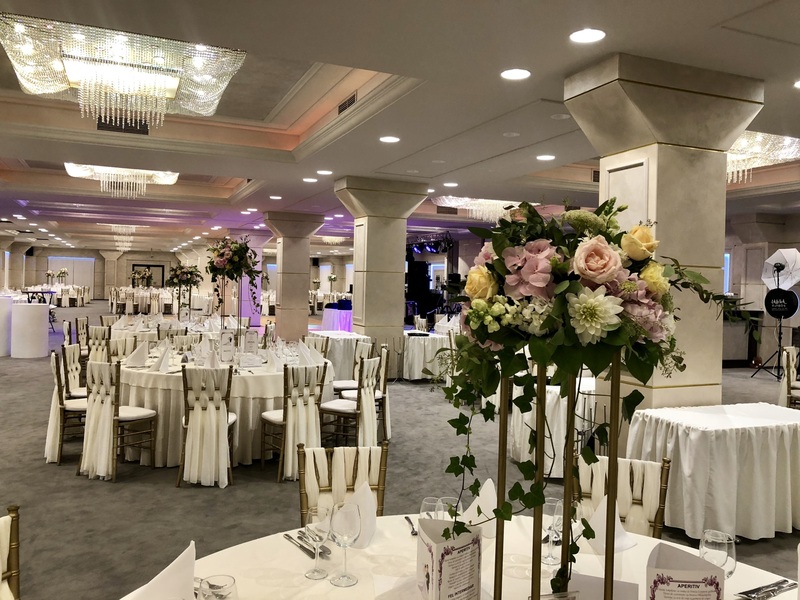 We offer personalized services according to requirements: catering, entertainment, contests for adults and kids, fireworks, live bands, DJ, MC, sound and light systems and much more. 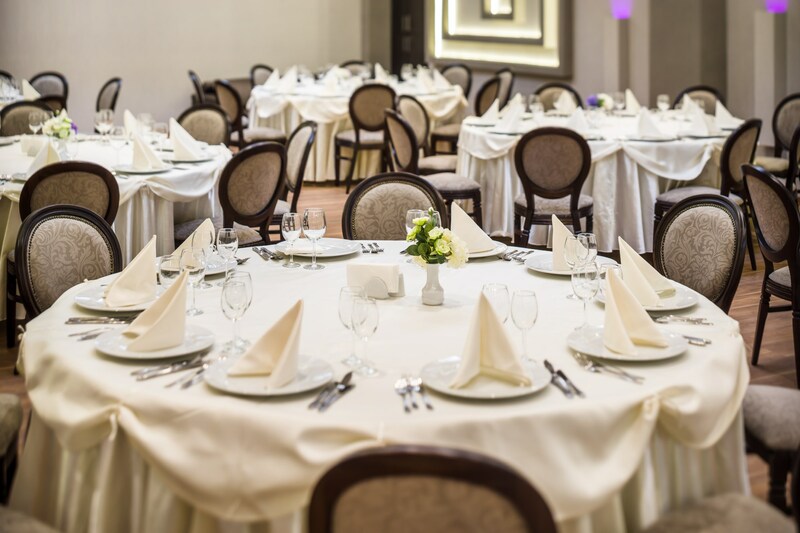 Investing in corporate parties is investing in your team. 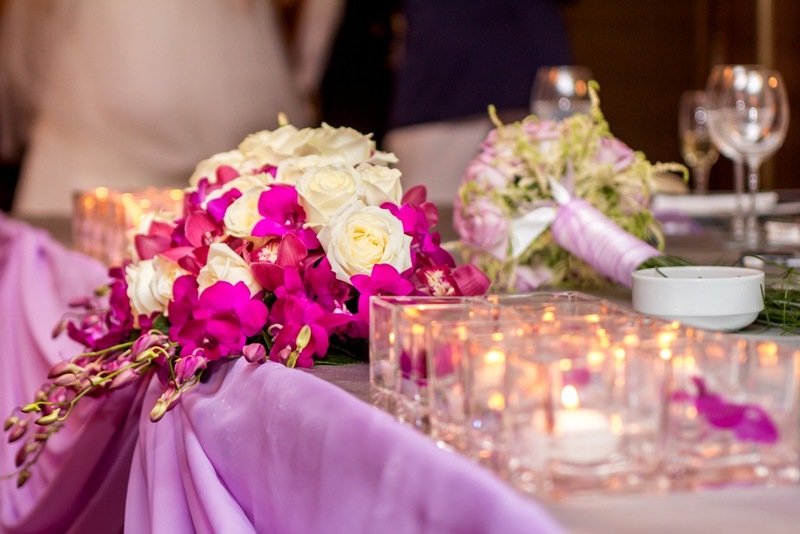 Sky Center offers you 2 types of limos for your comfort and well being. 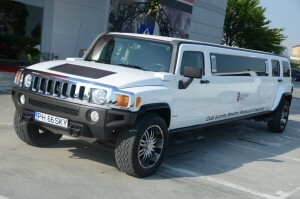 Hummer H3 Limo, with 10 seats, Ford Limo, with 10 seats. 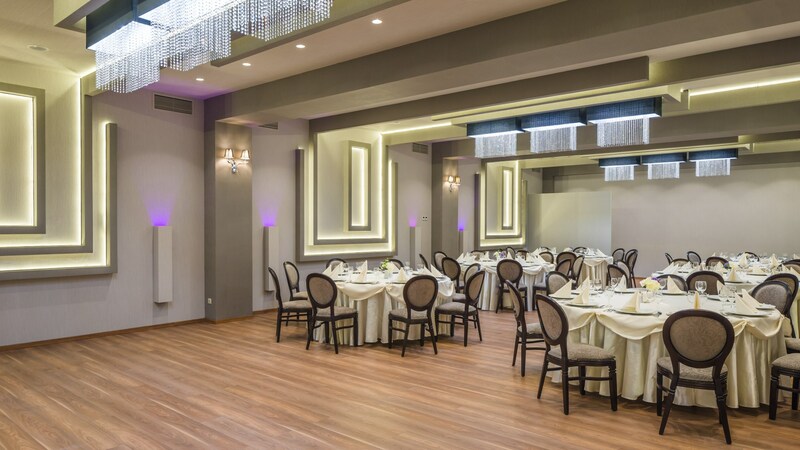 We provide you an unique atmosphere, precious moments, driver, champagne and the ideal music for a romantic and never-to-forget evening, or a relaxed experience for a business trip. 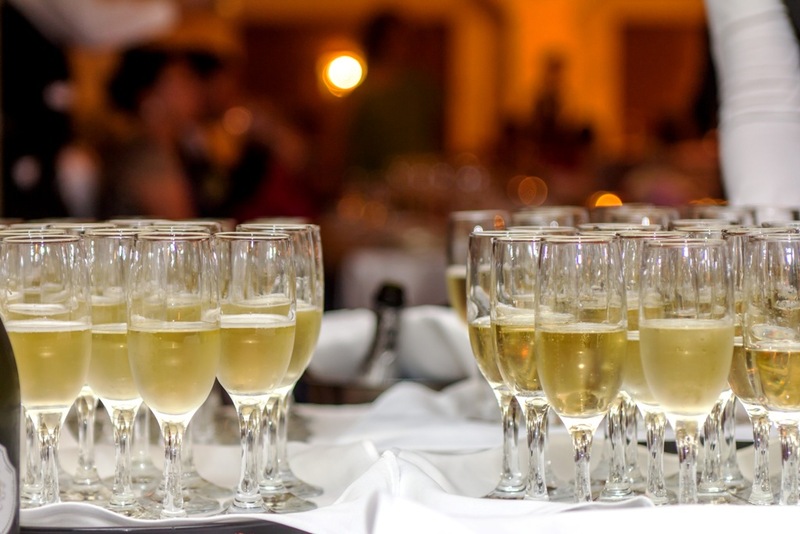 We can provide you a personalized offer for any limo rental request.